What with Royal Weddings, Chelsea Flower Show and not to mention the gorgeous weather we've had lately, we've had plenty to celebrate and what better way than to be in our gardens with a Pimms or what ever is your tipple. But have we offered our plants a drink? Lovely though it is when spring finally kicks in, this can be a treacherous time of year for our new plants. Often they struggle and may even die later in the season from lack of proper TLC when first introduced to our tubs and borders. Shrubs are particularly prone - many times have I pulled a forlorn shrub easily from the ground having made no root growth and died. Often it's sitting on a wet sump of compost, having rotted away over a wet winter. 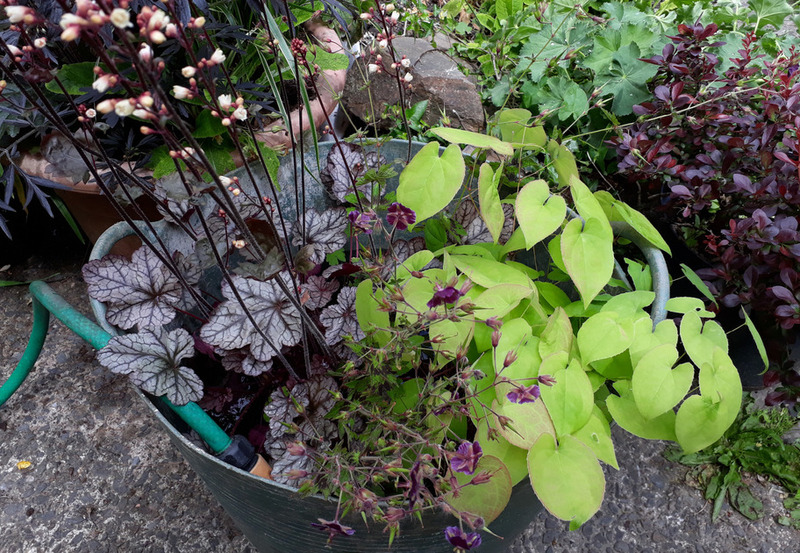 We are the culprits - the prized shrub is brought home, planted with a shovel of compost in the bottom of the planting hole, a quick splosh with the hose and then left to get on with it while the owners relax and go on holiday. All appearences suggest the shrub is fine - it grows a bit, flowers - then promptly dies over winter. Hilliers, the nursery chain across the South claim the average life expectency of a small shrub bought from their nursery is about 3 months - not something you would think they want to shout about . But the fault is not theirs but their customers; they are not always right, apparently.